Treating high blood pressure can improve health and prevent complications; residents of the Washington DC/Metro area should seek care from family medicine practitioner Sree Gogineni, MD of Capital Area Internal Medicine. Call or request an appointment online today with a qualified primary care physician who can help you monitor your blood pressure and prevent issues before they arise. People with hypertension, or high blood pressure, may have no symptoms even when the blood pressure is dangerously high; it is sometimes called the “silent killer” for that reason. When the force of blood pumping against the walls of the arteries causes damage to the blood vessels or heart, it can result in a stroke or heart attack. High blood pressure also increases the risk of heart and kidney failure. As people age, the arteries become less flexible, which increases the risk of hypertension. African Americans have a higher risk of developing hypertension than other groups, and hypertension tends to run in families. Obesity, a lack of physical activity and the use of tobacco in any form increase the risk of hypertension. Stress, heavy drinking, and dietary factors like too much salt or too little vitamin D, have also been implicated in hypertension. If a patient's blood pressure is 150/90 or above, most family medicine doctors recommend medications (people with diabetes should be treated at 140/90). Some medications make the heart beat more slowly, while others relax blood vessels. Others may help eliminate excess fluid from the body or affect various hormones and chemicals that regulate blood pressure. Medications may be used alone or in combination, depending on the patient's symptoms and response to treatment. Lifestyle changes can help when the patient has mild to moderate hypertension. Weight loss, for example, can have a positive effect. Increased exercise reduces stress and improves heart health. Tobacco is a major factor in hypertension and those who smoke should quit. A healthy diet with lots of fruit, vegetables and fiber provides vital nutrients and can help with weight loss efforts. It's important to limit alcohol; no more than two drinks a day for men and one for women. 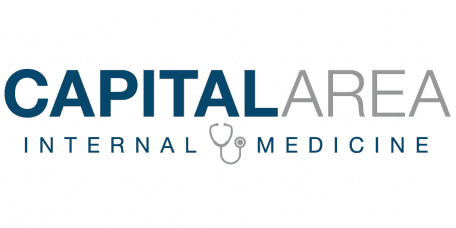 Call Capital Area Internal Medicine or request an appointment online to speak with a primary care physician who will work with you to help you maintain optimal health.